The Death of Martin Luther King, Jr.
A television documentary producer for the South African Public Broadcast Laboratory, Louw was staying in a motel room two doors down from Dr. King on the evening of his assassination. “At first it sounded like a loud explosion,” he recounted, “but there was an echo right after it. I rushed out on the balcony. Dr. King was collapsing. . . . 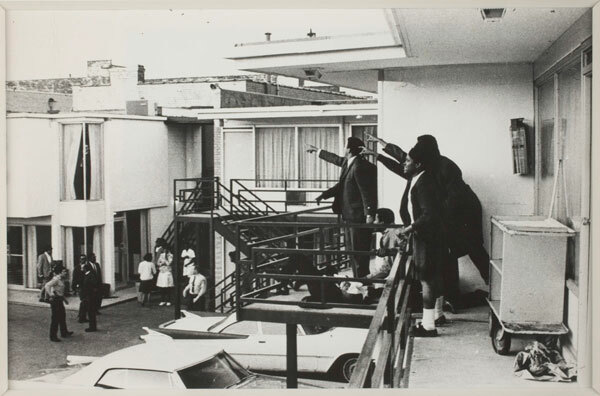 In that one moment, the sound of the shot and the sight of Dr. King made me almost feel that wound and I was terrified that it was going to happen to me.” When the image was circulated later in the day, Memphis was already on fire, followed by rioting in 110 American cities.